Master Sgt. 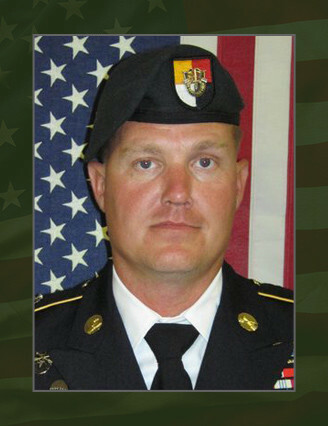 Gregory R. Trent, 38, of Norton, Mass., died Aug. 8 of wounds inflicted from small-arms fire July 31, in Shindand Province, Afghanistan. He was assigned to Company B, 4th Battalion, 3rd Special Forces Group (Airborne), Fort Bragg, N.C., and was deployed in support of Operation Enduring Freedom. This was Trent’s fifth deployment in support of Overseas Contingency Operations. He enlisted as an artilleryman in the U.S. Army in August 1998. Upon completion of his initial training, he was assigned to 3rd Battalion, 319th Airborne Field Artillery Regiment. He was next assigned to Italy, where he served as a howitzer section chief and deployed to both Afghanistan and Iraq. In 2006, Trent volunteered for the Special Forces Assessment and Selection Course. Following his completion of the Special Forces Qualification Course in August 2007, he reported to the 1st Bn., 3rd SFG(A) as a Special Forces communications sergeant. During his time with 1st Battalion. Trent deployed to Operation Enduring Freedom in 2009. He was then assigned to the 4th Bn., 3rd SFG(A), where he served as a communications sergeant in the with Co. B. He deployed with 4th Bn., in April 2010 for four months and recently returned to Afghanistan with the battalion in January 2012. His military education includes the Basic Airborne Course, U.S. Army Combatives Course, Warrior Leader’s Course, Advanced Leader’s Course, Senior Leader’s Course, Equal Opportunity Leaders Course, Survival, Evasion, Resistance and Escape Course, Military Free Fall School, Jumpmaster School, Special Forces Intelligence Sergeant Course, and the Special Forces Qualification Course. Trent’s awards and decorations include the Bronze Star Medal, Purple Heart, Defense Meritorious Service Medal, Meritorious Service Medal, two Army Commendation Medals, three Army Achievement Medals, four Good Conduct Medals, National Defense Service Medal, three Afghanistan Campaign Medals, two Iraq Campaign Medal, Global War on Terrorism Expeditionary Medal, Global War on Terrorism Service Medal, four Noncommissioned Officer Professional Development Ribbons, five Army Service Ribbon, Overseas Service Ribbons, NATO Medal, Parachutist Badge, Military Freefall Parachutist Badge, Combat Infantryman Badge, and the Special Forces tab. He is survived by his wife, daughter, parents and brother.